Ladies and Gentlemen, Good afternoon! It is a great privilege and honor to be here among you all for the official launching of the Valelevu Health Centre 24/7 hours health services that we have embarked on since the beginning of this week. Ladies and gentlemen, Valelevu Health Centre is one of the biggest and busiest health center in Suva subdivision serving a total of 58,000 population. On a daily basis, this health centre serves an average of 500 to 700 patients per day and even reaching up to 900 patients during disease outbreaks. And now with the opening of its doors for 24 hours and 7 days a week, Valelevu health centre is expected to serve an estimated population of about 200,000 people along the Suva-Nausori corridor. Ladies and gentlemen, by way of background, the Valelevu Health Centre was established in 1982 covering the areas from Kenova to Laqere. It first started as a primary health care facility that provided 8-hour services. Due to increasing population and demand for better health services, in 2009, the Ministry of Health and Medical Services have ventured into extending the health centre’s operating hours to 16 hours a day from 6:30am to 10pm; and since Monday, 15th January this year, Valelevu health centre is now open 24 hours! These developments are aligned with the ongoing efforts of the Fijian Government to reachout to all Fijians be it through education, health, infrastructure, housing, primary industries and trade to name a few. My ministry’s vision is creating “A healthy population” and to realize this vision, the Fijian Government is committed to enhance and improve access to health services for our ordinary Fijians through creating a supportive environment such as this 24-hour services at Valelevu health centre. What will this 24-hour services at Valelevu health centre mean for all of us? This means that people living along the Suva – Nausori corridor that needs urgent medical attention and those who are critically ill will have access to medical services day and night. All in all it means through better service, better care leading to better health. It also means that people who are victims of road accidents which is common along the Suva-Nausori roads and injuries are attended to at the health centre and stabilized before transfer to CWM hospital. This will also mean, unnecessary pain, suffering, hospitalizations, disability and even premature deaths is prevented or reduced. This will also mean that people will still be able to access health services without missing work or school and prevent people from overcrowding the health centre during early hours in the morning and in the afternoon after work or school rushing to the health centre before it closes. The Fijian government has committed a lot of resources towards the realization of this 24-hour services. The number of doctors and nurses was increased to cater for this additional service. A 24-hour ambulance services will be based at this health centre for rapid response and transfer of acutely ill patients. The place where we are currently standing will be renovated to ensure a more spacious and suitable waiting area is provided for the patients and their relatives. A modern and much improved emergency department will be built on the current existing wooden building on your left side when you exit the main gate. These developments are in addition to the current and ongoing quality improvement programs undertaken by the Ministry of Health and Medical Services to ensure that its customers, the patients and their families are provided the best health care services that they deserve. For the last 5 years the Fijian Government has invested a total of $102million into upgrading and constructing new health facilities around Fiji. In the Suva- Nausori corridor there are new health facilities to open that will uplift the health services and improve accessibility. We are looking at the new Makoi Maternity Unit and Naulu (Nakasi HC). The Makoi Maternity Unit will initially offer ambulatory services such as antenatal clinics, maternal and child health clinics, family planning and ultrasound. When fully open the Unit will also have 18 inpatient beds and three delivery rooms for low risk births. Ladies and gentlemen, the CWMH since 2015 has also got 4 new state of the art theater, Intensive Care Unit, Burns Unit and Coronary Care Unit. Similarly, the Raiwaqa Health Centre was also uplifted to include the dentistry services. Ladies and gentlemen, apart from the capital projects the Ministry also strategizes on modernised systems that generate multiple benefits in terms of enhancing patient care and staff role. One of such systems includes the implementation of the electronic Queue Management System (QMS) which all of you are familiar with that was introduced in 2015 and has been actively operating at this health centre since January last year. You can vouch it yourselves that before this new queue system, this waiting area was overcrowded and too noisy like a market place with everyone rushing to be seen by our staff. But now, everyone is seen by a doctor in an orderly and fair fashion, reducing patient’s waiting time, stress and anxiety while waiting. This electronic queue system also measures our staff service time and provides an effective system of monitoring staff workload, to allow greater management to improve efficiency and productivity serving waiting patients. Ladies and gentlemen, the Ministry of Health and Medical services is mandated to provide equitable, accessible and quality health services to the people of Fiji. We exist to help people maintain the highest level of good health that is attainable, that is a state of complete physical, mental, social well-being and free from disease. However, each one of us has the responsibility of looking after our own health, our family’s health. In order to do this, we need to keep ourselves healthy. Like they say, prevention is better than cure so we need to be proactive and take measures to stay healthy. We need to breathe fresh air by keeping our environment free from pollution and tobacco smoke. We need to eat a healthy and balanced diet with 5 or more servings of fruits and vegetables every day. We need to control the use of alcohol and too much drinking kava with unhealthy chasers that go with it. We need to be physically active for at least 30 minutes every day. We need to actively participate in our health facilities prevention activities such as NCD and cancer screening. We need to access health services at the early stage of any illness before it becomes complicated, more costly to treat and not when it’s too late! I urge everyone here to join our hands together to keep Fiji a happy, healthy and safe place to live in where children are nurtured in body and mind and where people work and age with dignity. At this juncture, I wish to acknowledge all the staff of Valelevu Health Centre for their commitment and hardwork to deliver the health services to our communities. Likewise, also acknowledge all the staff of MOH including DSHS, Dr Luisa, DMO Central (Dr Dave Whippy) and SDMO (Dr Pablo Romakin) for their dedication, teamwork and commitment to deliver the 24/7 service here at Valelevu HC and we hope that in the near future we will be able to provide similar service to other busy health facilities around Fiji. Ladies and gentlemen, with these few words, I now have the pleasure in launching the 24 hour services at Valelevu Health Centre. Simply it means that there is a temporary overflow of water on land that is normally dry. Flood waters are very strong. 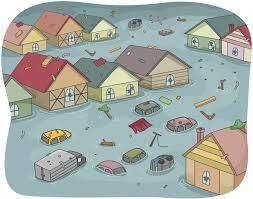 Flood waters can also carry a lot debris that can cause severe injuries to people who are in flooded waters. Flooded waters can knock you down and even cause your vehicle to be swept away. In Fiji, floods can happen during natural disasters such as cyclones, and during periods of heavy rain. 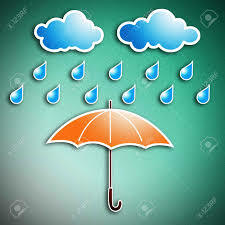 Fiji also has a have a wet season from November to April. 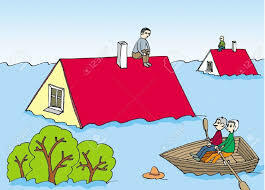 What are the risks during floods? Prepare an emergency kit with food and water, flashlight, batteries, cash, and first aid supplies. Move important items to the highest possible floor to protect them from flood damage. 1. Don’t walk or swim through flooded waters. 2. Don’t drive through flood waters. 3. Don’t drive over bridges that are flooded. Floodwaters can make the bridge unstable and also stop you from seeing the bridge itself and this can lead to drowning in these areas. 4. Don’t play in flooded waters. 5. Don’t fish in flooded waters. 6. Don’t touch electrical equipment if you are wet or standing in water. Don’t risk your life during floods! 7 April 2018 | SUVA, FIJI: On April 7 the World Health Organization (WHO) and the Fiji Ministry of Health & Medical Services (Ministry) have come together to celebrate the 70th Anniversary of WHO and the 40th Anniversary of Primary Health Care (PHC) in Fiji. These special events mark a time for both organizations to recommit to their mutual goal of advocating for Universal Health Coverage – Health for all – Everyone. Everywhere. April 7, 2018 marks a special date for the WHO as 70 years ago the global community came together to establish the WHO – the United Nations agency founded on the principle that health is a right for all. In celebration of this anniversary WHO calls upon the global community to recommit to the basic principle that access to essential health care is a human right for all. Achieving universal health coverage means that everyone can access the health services they need, where and when they need them, without financial hardship. Fiji has long since committed to achieving this goal, as today Fiji celebrates the 40th Anniversary of its adoption of the Alma Ata Declaration on Primary Health Care. Strengthening primary health care is the means to achieving Universal Health Coverage. This commitment is deeply enshrined under Section 38 of the Fijian Constitution (2013), for which the state must take reasonable measures within available resource to achieve the progressive realisation of the right of every Fijian to health, and to the conditions and facilities necessary to good health, to health services, including reproductive health. Dr Corinne Capuano, WHO Director of Pacific Technical Support and Representative for the South Pacific, commends Fiji: ‘I welcome very much that Fiji puts special emphasis on Primary Health Care during this years’ celebration, because we believe that reinvigorating Primary Health Care is for Fiji and the Pacific Island Countries the way forward to achieving Universal Health Coverage’. Universal health coverage is beneficial and already happening. But we can do more and better. At least half the world’s people don’t receive the essential health services they need. About 100 million people are being pushed into extreme poverty (<$1.90 a day) because of payments for health services. As a result, children have to abandon school and dreams of a career so tuition money can pay a family member’s medical bills. Others leave jobs – or cannot get jobs – because they have to take care of a sick family member. Over 800 million people (almost 12 percent of the world’s population) spend at least 10 percent of their household budgets on health expenses for themselves, a sick child or other family member. On World Health Day, the World Health Organization is calling on world leaders to live up to their commitments and to action on them. Countries are approaching universal health coverage in different ways. In Fiji, the Ministry is committed to ensuring that the most efficient route to universal health coverage is to get it right at the lowest and most accessible level that serves the majority of Fijians. ‘Good Primary Health Care that integrates the delivery of essential public health and clinical services at both the facility and community levels should be the triggering point for change’ says the Minister for Health & Medical Services, Hon. Rosy Akbar. In some Pacific Islands, if the situation doesn’t improve, one in three 30-year-olds will die before their 70th birthday from non-communicable diseases such as heart attack, stroke, diabetes or cancer. To maximize their chances of living long, productive lives, we need to provide access to services that are effective in preventing and managing these diseases. We need care that promotes health and prevents sickness. We also need better care for people who already have health conditions. Comprehensive care must be available closer to people’s homes, coordinated by health-care teams to provide both convenience and the opportunity to build enduring and trusting relationships with the people and the communities they serve. ‘WHO is committed to support Fiji and other Pacific Islands in their goal in ensuring that all Pacific Islanders have access to the essential health care, regardless of whether they are based in one of the Pacific’s urban centers or on a remote outer island’ says Dr Corinne Capuano, WHO Director of Pacific Technical Support and Representative for the South Pacific. This is why everyone should be part of this dialogue – because it concerns everybody’s life. In celebration of this special event, and to inspire others to join the conversation, the Ministry is launching a series of debates and events to strengthen awareness and discuss ideas on how to achieve primary health care. Series of Public Debates that will be organized jointly by the Ministry and local tertiary institutions and partner agencies. Forming stronger collaboration and partnerships with stakeholders under the Wellness settings in Fiji such as the Private Sector, Business Community, NGOs/CSOs, Government Agencies, Communities, Villages, Development Partners, and Academic Institutions. If you believe in the basic human right to health, WHO and the Ministry encourage you to join in the campaign to make Universal Health Coverage a reality.